Rain pairs beautifully with paper crafts for the perfect Sunday. Originally, today's plan was to turn flower beds, but gray skies shifted the focus to monogram cards and gift boxes. 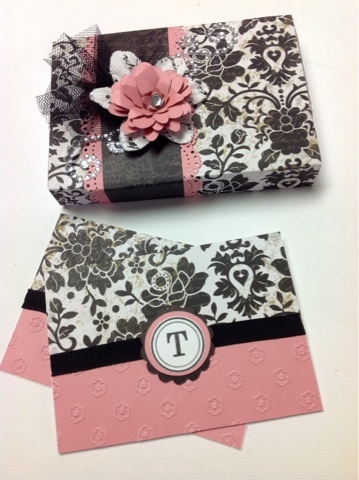 All supplies are CTMH: For Always Paper, Artiste Cricut Cartridge, the monogram is from the Token alphabet set.